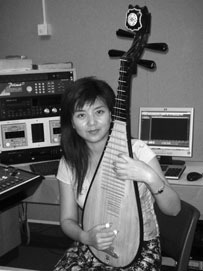 Lin was born in a musician family in China. Since she was a little girl, she has learnt the Chinese lute from her parents. The experience of childhood made her have great interest in music, so she chose to study Education (BA course) in the Fine Arts Department. 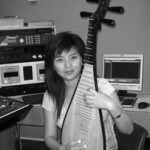 After graduation, she worked in Shandong People’s Radio Station as a music editor and presenter in China, before she came to the UK. Many of her special programmes were awarded with national honours. One musical feature won The Nominees Awards for The Jury Committee Of The 5th Shanghai International Radio Music Festival. She also had her own programmes, ‘Chinese music’ and ‘Appointment with Fangdi’, and had a group of listeners. In the mean time, she worked with TV presenters occasionally. She loves her job and wants to improve on her skills so that she can produce high quality programmes in the future. From this course she hopes she can equip herself with advanced knowledge about the media.